Awarded First Premium and Champion at the inspection in Germany for the Zuchtuerband Für Deutsche Pferde E.V. Nanett's great grandsire is the famous Trakehner MARDUC who is know for siring horses of great rideability and dressage talent. 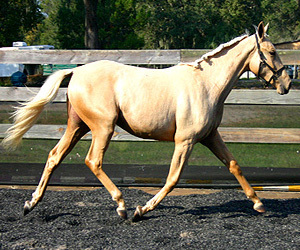 He has consistently produced Championship sons and daughters as well as dressage horses up to "S" level. 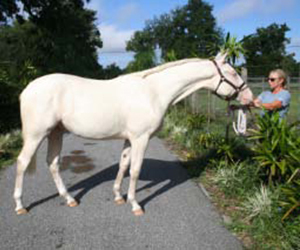 He was able to combine his job as a breeding stallion with a career in the dressage arena. 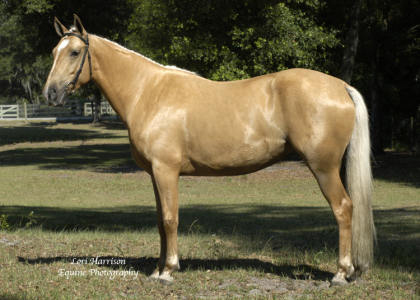 Nanett's grandsire MALTESER GOLD has sired over 5 graded stallions and has hit the headlines in breeding circles especially because of his always highly placed State Premium daughter MALTESERIN. The dams side of MALTESER GOLD contains the great jumping horse sire RATSHERR, who is considered a guarantor for jumpers of high rideability and ARNOST, by the great Hanoverian sire ABHANG I. 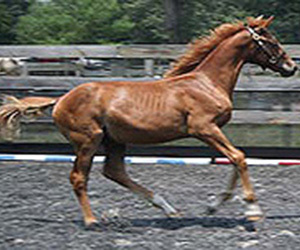 Three foals via embryo transfer due fron Nanett in 2008! 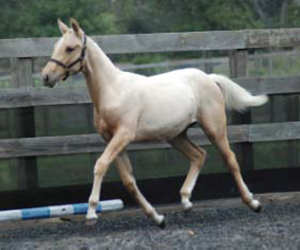 Nanett's 08 Filly by Blue Eyed Dream GF. Awarded First Premium with AWR. 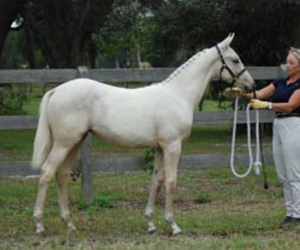 Nanett's 08 Filly by Blue Eyed Dream GF Awarded First Premium Premier with AWR. 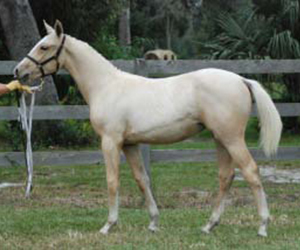 Nanett's 07 Cremello Colt by Blue Eyed Dream GF. Awarded First premium with AWR. Nanett's 07 Filly by Lotus T (Holstiener) Awarded First Premium with AWR. Nanett's 06 Filly, by Morgenold II, Awarded First Premium with AWR.